We cannot thank the University’s inspiring community of volunteers enough. With numbers growing by more than 150 in 2017, a total of 2,801 selfless individuals gave a combined 69,826 hours of their time in support of our many education and research-related endeavours. This is the equivalent of a staggering $2.8 million worth of volunteer time. Spread across more than 40 groups and projects, our volunteers’ contributions are as varied as they are appreciated. These include: welcoming the University’s new international students, maintaining our numerous collections, role-playing as patients for Adelaide Dental Hospital students, and facilitating students’ intercultural awareness. Volunteering provides an integral link between the University and the wider community. Many of our volunteers are also involved in conducting public tours of our campuses and other facilities. A prime example is the team at Urrbrae House. The house was the stately residence of leading pastoralist Peter Waite and his family, who famously bequeathed the expansive property and surrounding lands to the University in 1914, giving rise to the Waite campus. Volunteers regularly conduct tours of Urrbrae House and its beautiful gardens. Recognised as an accredited museum by the History Trust of South Australia, the house is also used to conduct educational programs for primary and secondary schools. Volunteers are integral to these programs, providing students with a tangible experience of South Australian history in the late 19th and early 20th centuries. Urrbrae House volunteer Dr Bill Wallace understands and appreciates the generosity of Peter Waite better than most. Bill is now in his fifth term as President of the Friends of Urrbrae House, a group that contributes to the ongoing preservation of the Waite family’s former residence. Together with fellow volunteer Lyn Mackay, he also regularly leads public tours of the property. 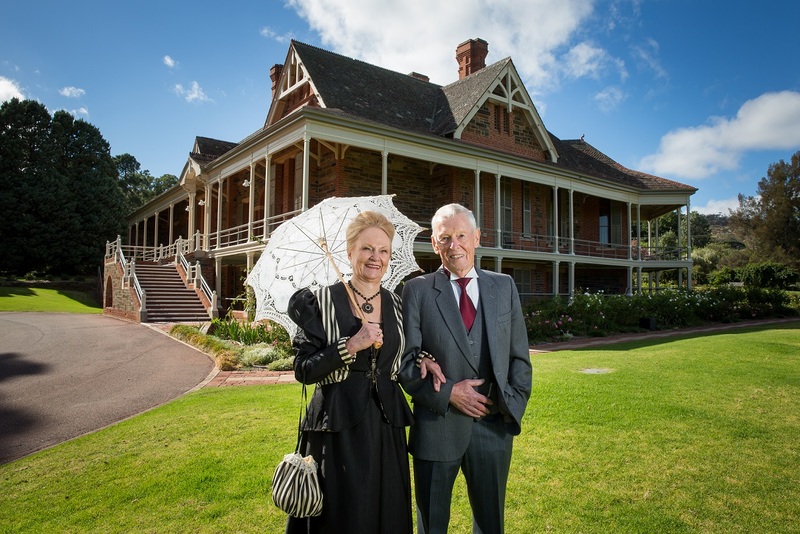 The pair play leading roles in the Urrbrae House Schools Program, dressing in period costume as Peter Waite and his wife Matilda, to give the children an authentic glimpse of life in the late 19th century. Bill spent much of his career at the Waite Agricultural Research Institute while Lyn has volunteered at Urrbrae House for more than two decades. Bill says he always felt a great sense of gratitude for Peter Waite’s benefaction. It was this appreciation that sparked his own desire to give back. This entry was posted in 2018, Impact of Giving and tagged Donors, giving, Urrbrae House, volunteering. Bookmark the permalink.